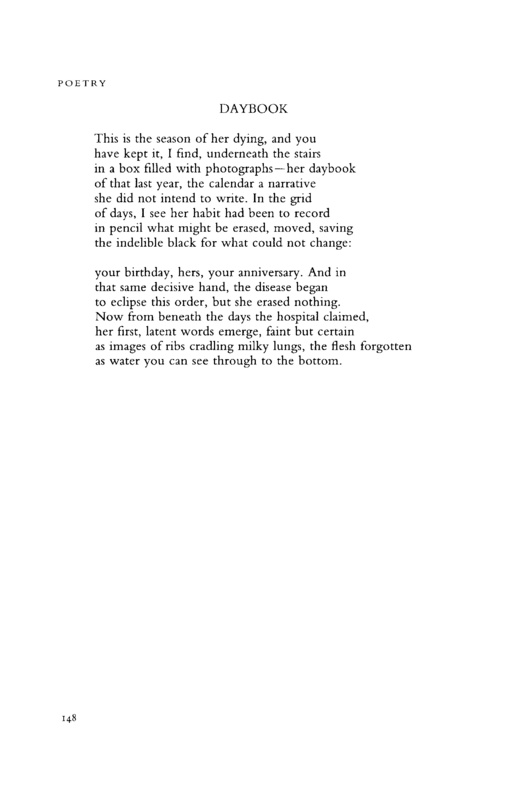 Claudia Emerson died of cancer on December 4, just this past December 4, at the age of 57, leaving a legacy of beautiful and moving poetry. She had won many awards and grants, including a Pulitzer Prize. Her work speaks to the heart. One could call it “accessible.” But of course it is much more than that. And here are two of them to remember her by.